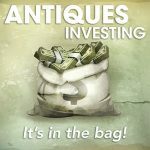 Those of us who dabble in antiques have all seen it…every one of us. 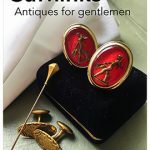 It has even developed its own modern pop-moniker in antiques circles. We’ve seen it in every material, including plastic. While this does, indeed, harken back to the historic design of a number of chairs, it is not a true representation of any of the original “Louis chairs” (XIV, XV or XVI) from which it derives its name. 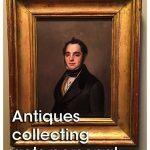 So, antiques lovers…let’s have a little Louis lesson. Kings Louis XIV, XV and XVI reigned over France during a time that would come to be called “The Golden Age of French Decorative Arts,” which also coincided with the ultimate decline and fall of the monarchy itself. That aside, this is unquestionably the go-to image of French design in the minds of most collectors, and the styles are fairly easily differentiated between with some basic signifiers. 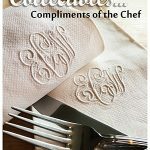 It bears mentioning that, while my descriptions reflect the quintessential features of each style, there were transitional styles that bridged each era and incorporated aspects of each. 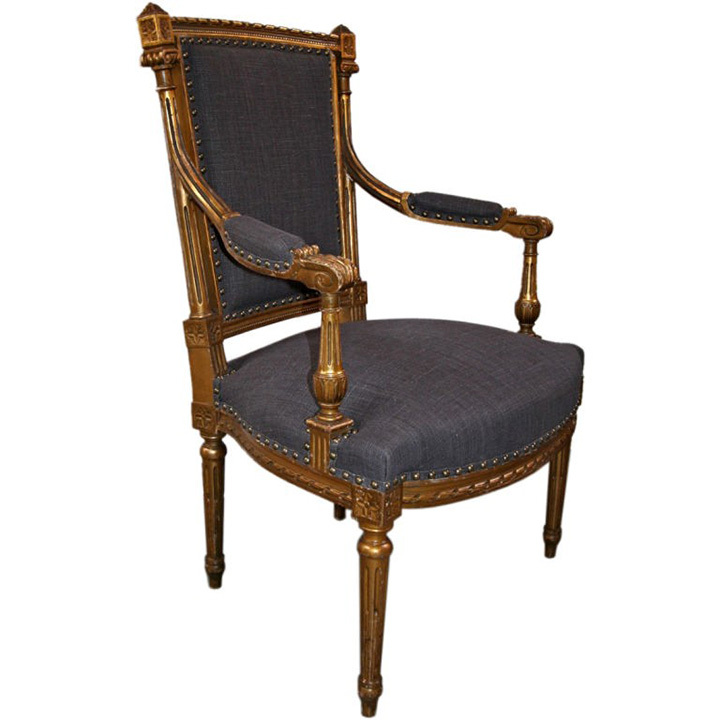 Louis XIV: More heavy and baroque than either of the other two styles, the design is very simple – but substantial. Seat-backs tend to be fully upholstered, and original upholstery (virtually unheard of on the market) would be of similarly heavy fabric, often tapestry. The seats and back of the chair is rectangular, and the arms and legs of the chair extend the hard lines. From the front, arms and legs are straight, with curves being perceptible only from a side or angled view where it is also illustrated that the arms supports connect directly to the front of the seat. The stretchers (and it’s the only style with them) often form an ‘X’. 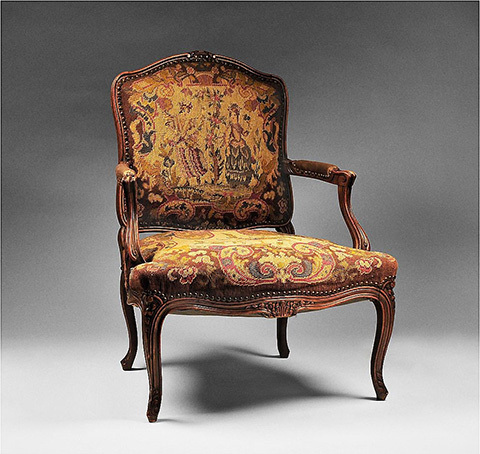 Louis XV: A complete departure from its predecessor, Louis XV style is marked by a fluid, lavish design that seemed to place greater consideration on comfort with a lower, wider design with an angled back. It also bears noting that the design allowed for the accommodation of voluminous hooped-skirts, which dominated women’s fashion at the time. The chairs typically have exuberantly molded or carved wood in floral, often asymmetrical patterns with a central medallion on the crest rail surrounding an upholstered cartouche-shaped chair back. Shorter arms terminate before the seat’s edge, and cabriole legs turn out at an angle rather than being on axis with the arms. Louis XVI: The last Louis returns to a somewhat more rigid design, but does away with the heaviness of Louis XIV. Further, unlike the lavish, serpentine decoration of Louis XV, Louis XVI design is marked by a repeating motif around a geometrical carved wooden frame. The legs and armrest supports are straight and meet at the front of the seat. These elements are often fluted and invoke the idea of columns. In fact, much of the structure calls to mind architectural sensibilities that draw from classical motifs. 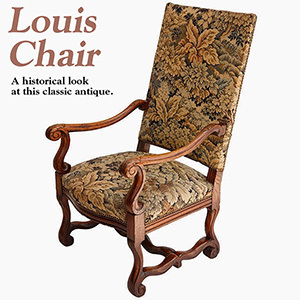 Louis chairs have become incredibly popular antiques, and they are commonly seen on display at art shows across the country. They certainly have a presence at most Palm Beach Show Group events. 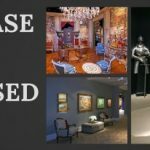 If you’re looking to procure a Louis chair, attend Palm Beach Show Group’s “New York Art, Antique & Jewelry Show” November 20-24.